And it's certainly not hedge funds. 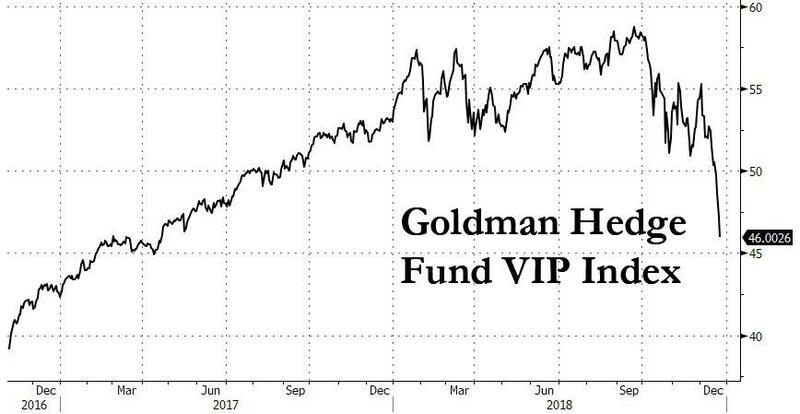 As the following chart showing the performance of Goldman's famous (or infamous) hedge fund VIP index makes it clear, the Top 20 most popular stocks among the "hedge" fund community have cratered into year end, down 22% from their all-time highs, dragging with them not only most hedge funds but also virtually all other active investors, who will be relieved to finally put 2018 in the rearview mirror. No, the winner from the historic Q4 rout and record December plunge in the S&P are passive investors, and especially ETF giant BlackRock, whose exchange-traded fund business attracted more than $25 billion in November inflows, a record monthly haul for the company. 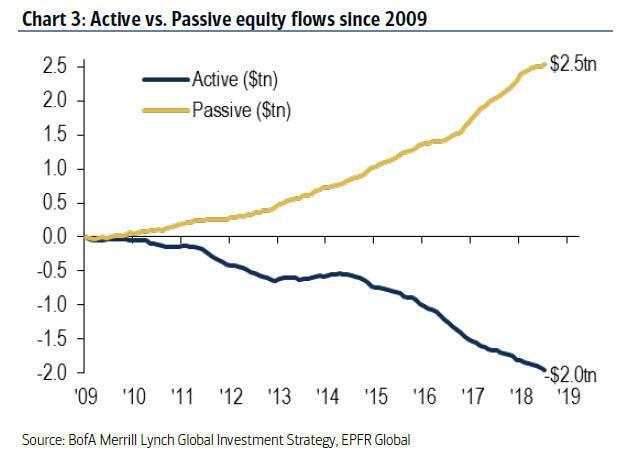 Recall that whereas last week EPFR reported that total stock funds suffered record weekly outflows of $39 billion, this was the result of $53 billion in active fund outflows offset by $14 billion in ETF inflows, as the great rotation from active to passive continues. The gains for BlackRock came in a month when investors bailed out of actively managed funds and piled into passive vehicles amid spikes in market volatility. Active funds had outflows of $57.4 billion in November while passive funds, a mix of index mutual funds and ETFs, attracted $55.9 billion, according to data from Morningstar. The shift into passive was broad-based as BlackRock drew cash into both stock and bond ETFs, while the company's Emerging Markets ETF gained $3.3 billion and the IShares 1-3 Year Treasury Bond ETF added $2.4 billion as investors moved to short-term vehicles. Short-government funds, often seen as a safe-haven, received the most inflows last month in a decade, according to Morningstar. 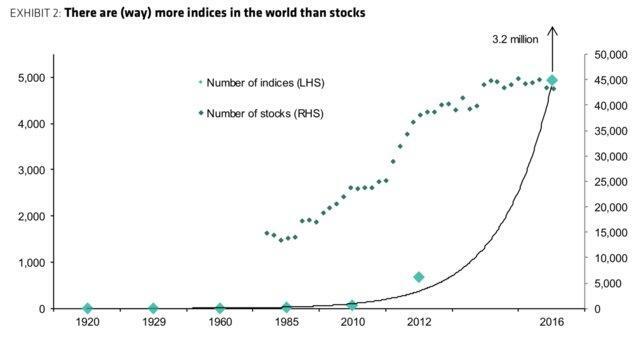 ... an imbalance which various Wall Street icons such as Howard Marks believe will end in tears. Should the recent selloff fail to find a bottom, we may soon find out if they were right because as Howard Marks' warned in 2017, "As a product of the last several years, ETFs’ promise of liquidity has yet to be tested in a major bear market, particularly in less-liquid fields like high yield bonds." Well, today the longest bull market in history officially ended and the bear market has begun, and with it, the test of just how resilient ETF liquidity truly is.